If you've got 14 minutes and 46 seconds of your life you never want back*, here's the latest version of the Mouseverture. I think that the thing we need to do to really make this song pop out is to change the size of the apparent room -- tighten up to a very small room in some sections and then go to an enormous stage at other times. That's what I think. Note that you can't see the Bandcamp widgets in an RSS reader. So click through and listen to some music. 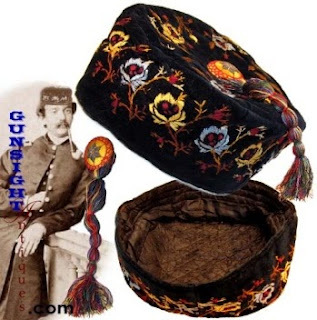 If you want to spend a whole bunch of money on a smoking cap, Antique Arts has a beautiful one. We're talking almost five bills, though. **As I go through things I discover what sort of things I've already changed. And apparently I took that note already. I think. Anyway, that line doesn't bother me as much anymore.